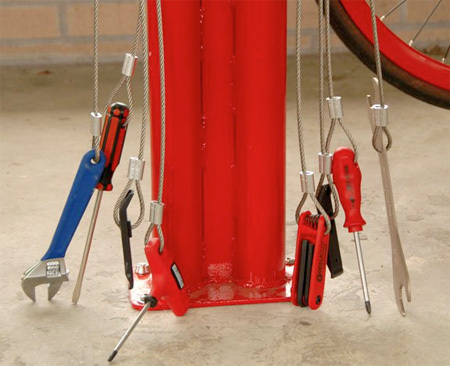 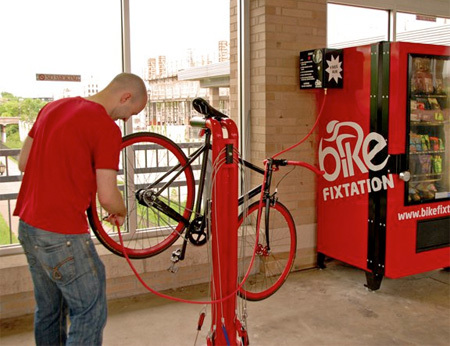 Bike Fixtation allows cyclists to pump up the tires for free and make simple adjustments using supplied tools. 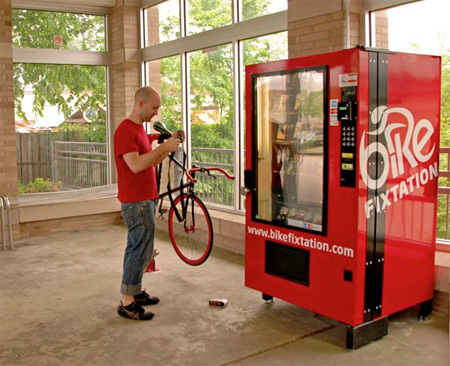 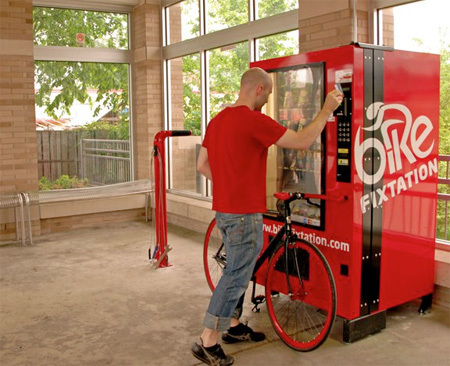 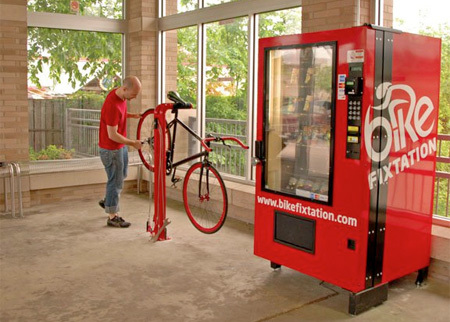 You can even purchase needed bicycle parts in a vending machine. 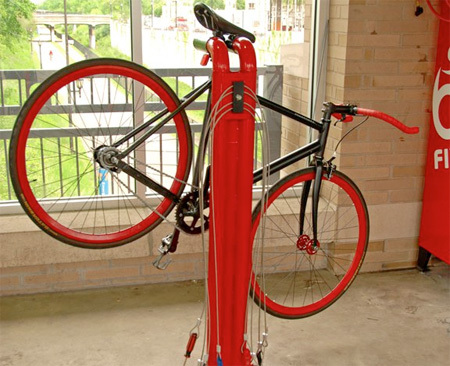 First self-service bicycle repair station was installed at the Uptown Transit Station in Minneapolis. 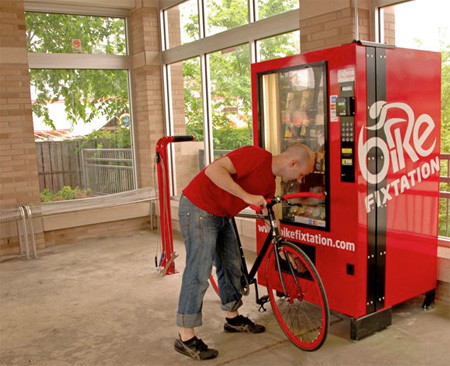 If it becomes popular, we will see more Bike Fixtations around the world.